Earlier this year we invited our 2017 Purchase Prize winner Anna Liber Lewis to respond to a work of her choice from our Modern British Art collection. 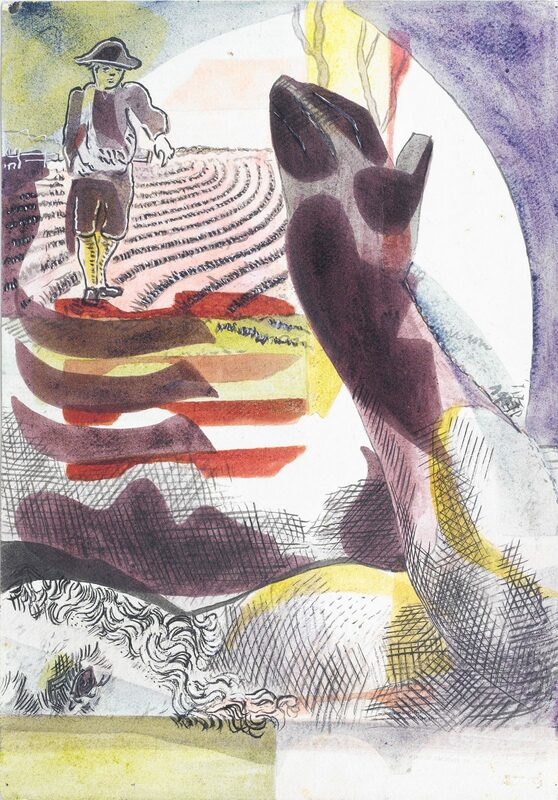 Her latest exhibition, opening at The Lightbox on the 1st December, shows her series of paintings inspired by Eileen Agar’s 1937 painting, The Sower, and demonstrates the artists’ shared interest in natural forms, cycles of seasons, life and death and the subconscious. Join award-winning painter Anna Liber-Lewis, as she talks to Jo Baring, director of The Ingram Collection, about her life and work to date.